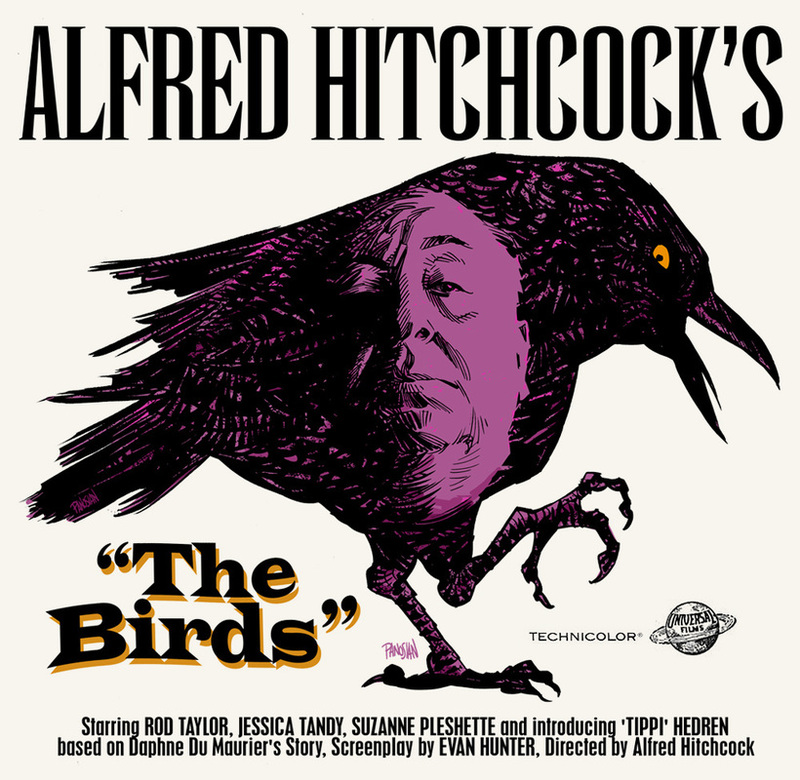 Alfred Hitchcock’s film The Birds is an adaptation of a novella by Daphne Du Maurier. It’s very, VERY different. 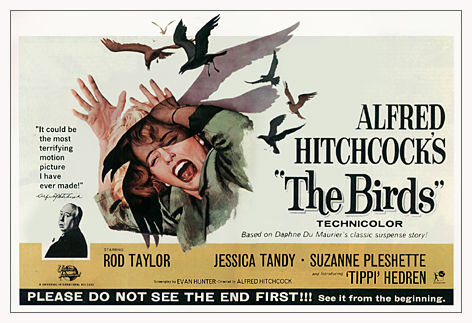 Think of it as Hitchcock bought the name and just made up the rest himself and both incidentally have killer birds in them. The last time I saw this was the summer of 2013 at the Fox Theater in Atlanta with some friends, one was a Taiwanese student who was visiting me. He really didn’t have any say in being dragged to see a film from 1963 on the big screen, but he did enjoy himself and the amazing ambiance of the Fox Theater. 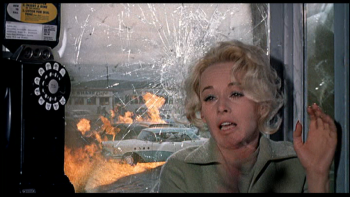 What I’d like to link this film to is the symbol of glass and how Hitchcock uses it so well in one particular scene, the restaurant attack. 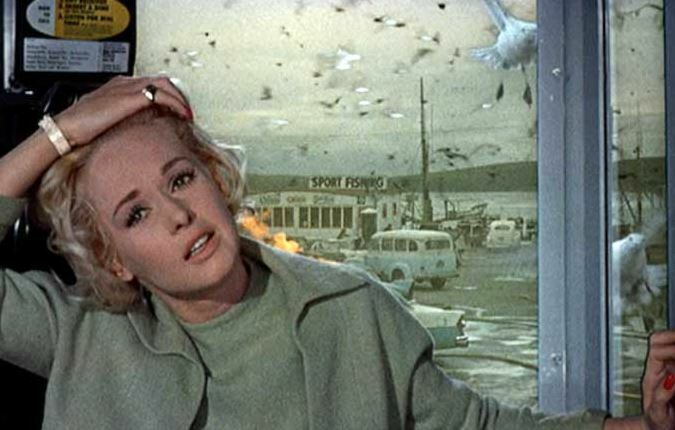 Through most of the film we see the birds attacking while people are outside and we are but there with them, but in this scene we watch the birds through a restaurant window, a car window and the glass of a phone booth. All of them get fractured symbolizing man’s fracturing safety. 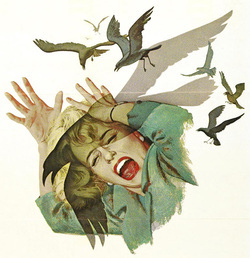 Man likes to think of himself at the top of the food chain, but as Du Marier’s novella points out we’d be pretty helpless if the birds really turned on man. No amount of ammunition could keep up with the onslaught they would provide. 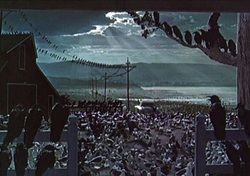 The scene where Hitchcock shows this clearly is in the restaurant scene with all the fracturing glass. 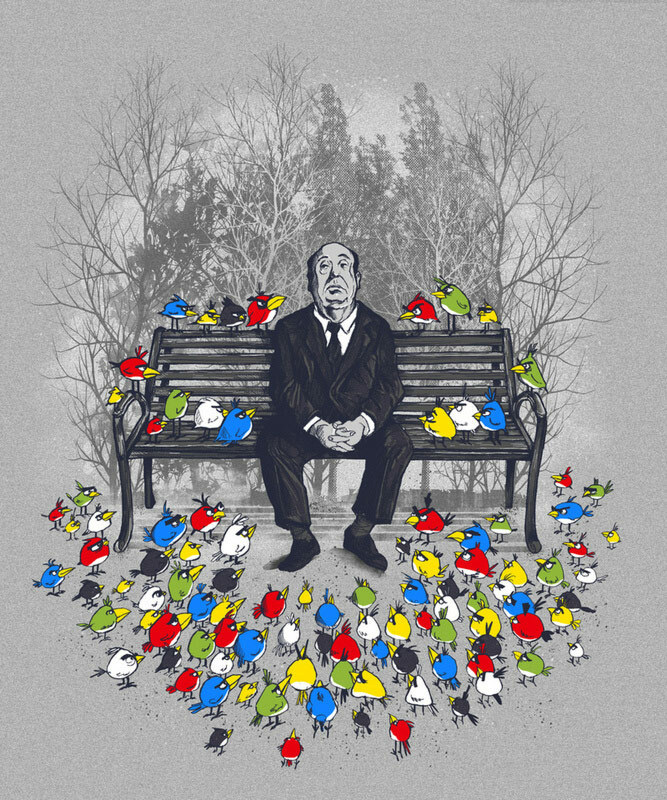 It’s masterful. Repetition has meaning and there's lots of glass being broken here.